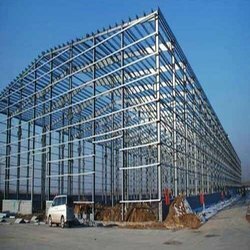 Clients can avail from us an exclusive range of Steel Conventional Structure. It is known to all of us that steel generally used in construction as it gives economical solutions, ease to design, can be mould in any shape that is why we make use of high grade steel for the fabrication of these structures. Looking for pre engineered building ?